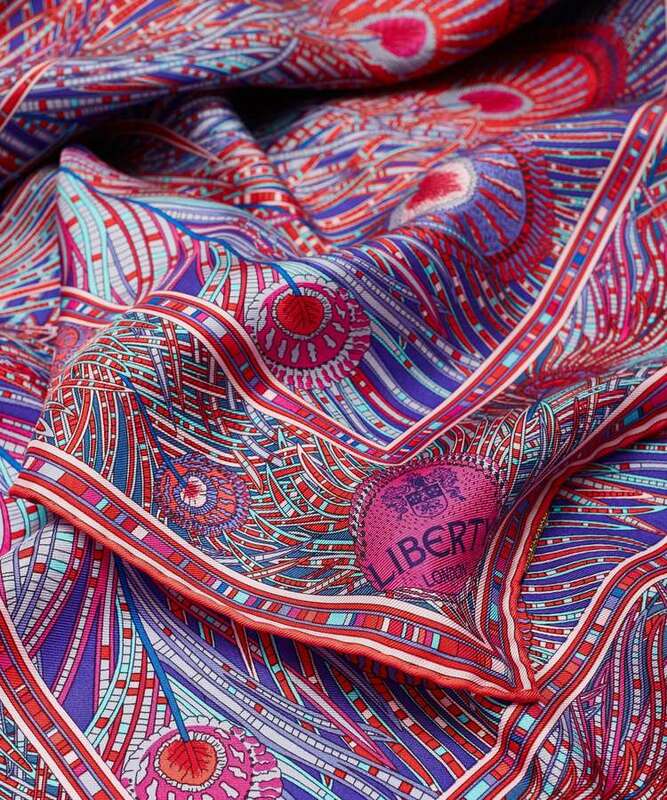 The Liberty silk scarf is a fashion institution. Take inspiration from the LIBERTY Art Fabrics & Fashion exhibition at Dovecot this summer to design and paint your own silk square at this workshop for beginners and enthusiasts alike. This one-day silk painting workshop is an introduction to the techniques of painting on silk and a masterclass in how to apply colour and create a stunning design. Starting with a visit to the Liberty exhibition, your tutor Hilary Simon will introduce the different materials and demonstrate different ways to create a variety of effects on silk using salt, layering, alcohol and methods of applying the dyes and gutta gum. The dyes are French Dupont which mix beautifully and run like vibrant watercolours. Following the demonstration, time is spent creating designs on paper and testing techniques on a sample piece of silk. During the afternoon participants will create their own silk square, with one-to-one guidance in their choice of dyes and approach. At the end of the workshop participants will take home their new skill plus a completed work of art, perfect for framing, hanging or ready to fix and hem. Hilary Simon is an artist and curator. She has exhibited her work in solo exhibitions worldwide and her paintings have been widely published with her designs used for book covers, greeting cards pottery and rugs. She has run workshops internationally in the UK, America and Mexico, most recently at West Dean College, Fashion and Textile Museum, Marlborough Summer School and Art in Action. Standard: £120 includes equipment* and Liberty exhibition entry. *The fee includes two silk squares (a small sample and a larger piece for the final design) and the use of equipment during the workshop. Please bring a bag or envelope to take your work home with you.